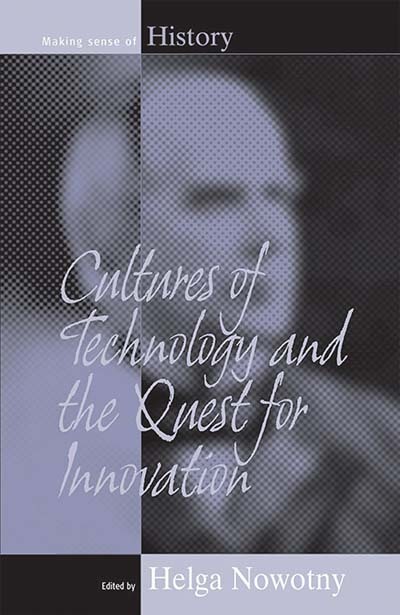 Underlying the current dynamics of technological developments, their divergence or convergence and the abundance of options, promises and risks they contain, is the quest for innovation, the contributors to this volume argue. The seemingly insatiable demand for novelty coincides with the rise of modern science and the onset of modernity in Western societies. Never before has the Baconian dream been so close to becoming reality: wrapped into a globalizing capitalism that seeks ever expanding markets for new products, artifacts and designs and new processes that lead to gains in efficiency, productivity and profit. However, approaching these developments through a wider historical and cultural perspectives, means to raise questions about the plurality of cultures, the interaction between "hardware" and "software" and about the nature of the interfaces where technology meets with economic, social, legal, historical constraints and opportunities. The authors come to the conclusion that inside a seemingly homogenous package and a seemingly universal quest for innovation many differences remain. Helga Nowotny, who has a doctorate in law from the University of Vienna and a Ph.D. in sociology from Columbia University, New York, was Professor of Social Studies of Science at ETH Zurich since and Director of Collegium Helveticum. Currently she is Chair of the European Research Advisory Board (EURAB) of the European Commission and Director of the post-doctorate Branco Weiss Fellowship. She was Executive Director of the European Center in Vienna, which she founded, and for seven years Chairperson of the Standing Committee for the Social Sciences of the European Science Foundation.